A few days ago I shared a post about a smart and thriving young lady Tanya Angus, who fell prey to a rare disease of Gigantism at 21 and sadly died at 34 on 14 January when her body had grown from 5-8 to 6-11 weighing 400lbs. Today I came across a news about a five years old girl Suraya who is suffering from a rare disease of Dwarfism. 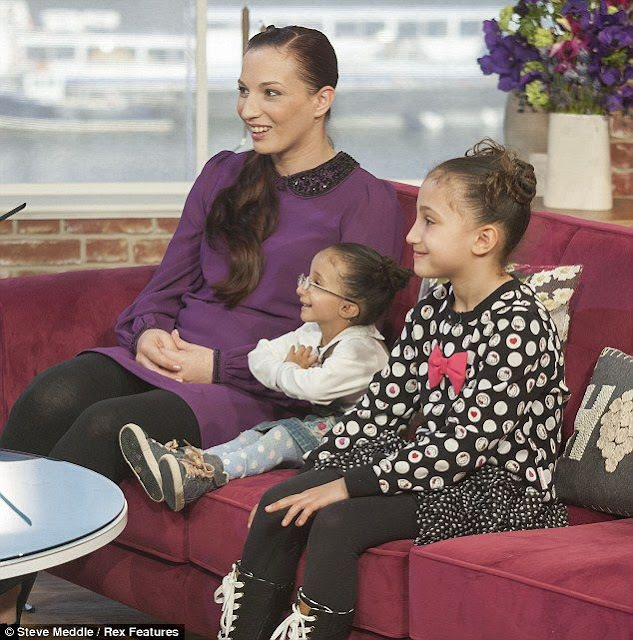 Atlanta Dujmovic, from Hayes, Middlesex UK, says her daughter Suraya, five, has a rare type of primordial dwarfism - a rare disease which has been reported in only four families worldwide as reported by Mail Online. Today, Suraya's mother Atlanta Dujmovic revealed the struggle she and her husband went through to before getting the diagnosis - and their hopes that Suraya can live a life that is as normal as possible. Primordial dwarfism is a very rare form of dwarfism that results in a smaller body size in all stages of life beginning from before birth. It is in the profoundly proportionate category of dwarfism, meaning that individuals are extremely small for their age even as a foetus. The condition frequently remains undiagnosed until between three and five years of age.